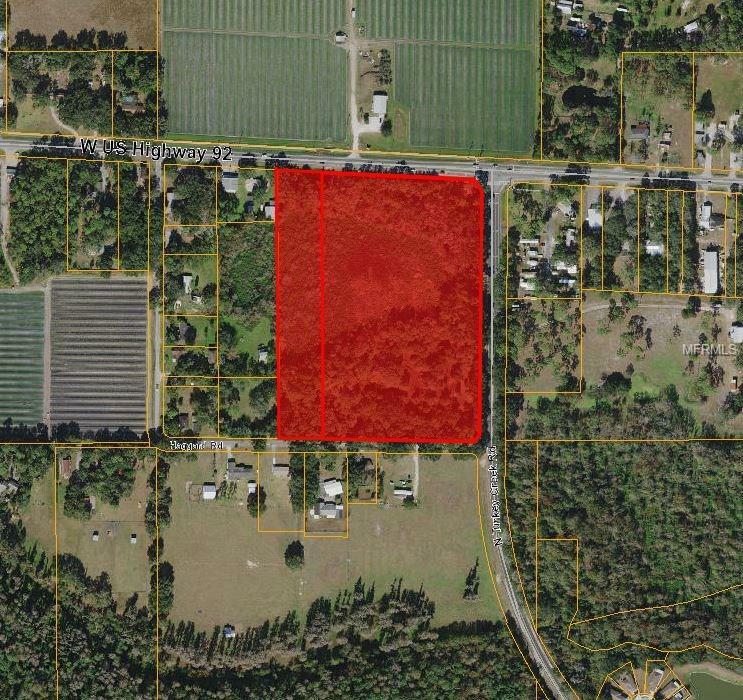 14.61 Acres - 3 way signalized intersection, Corner Lot, frontage on 3 paved roads, potential for rezoning to commercial. Two parcels being sold together. Current permitted uses in AS-1 zoning include agriculture, single-family conventional and manufactured/mobile home dwellings, modular dwellings, ambulance services. Conditional uses under agriculture include agricultural manufacturing, agricultural stands, kennels. Frontage on US Hwy 92 680'+/-, Turkey Creek Road 860'+/-, Haggard Road 675' +/- with 7.75 +/- acres uplands. Listing provided courtesy of Jack T. Gibbs, Realtor.